Hideo Kojima, creator of Metal Gear Solid, is not only working on a new game, he's also working on a new game engine. Oh, and he's also hiring up for the "next" Metal Gear. Busy guy! But Kojima's also been nice enough to provide a peek into what's going on at his studio, Kojima Productions. Above is motion capture test work, using a new, presumably, in-house system. It's really hard to tell if this motion capture is good or bad. Previously, Kojima has showed more detailed images from its new game engine, which might probably give a better ballpark idea of what to expect. 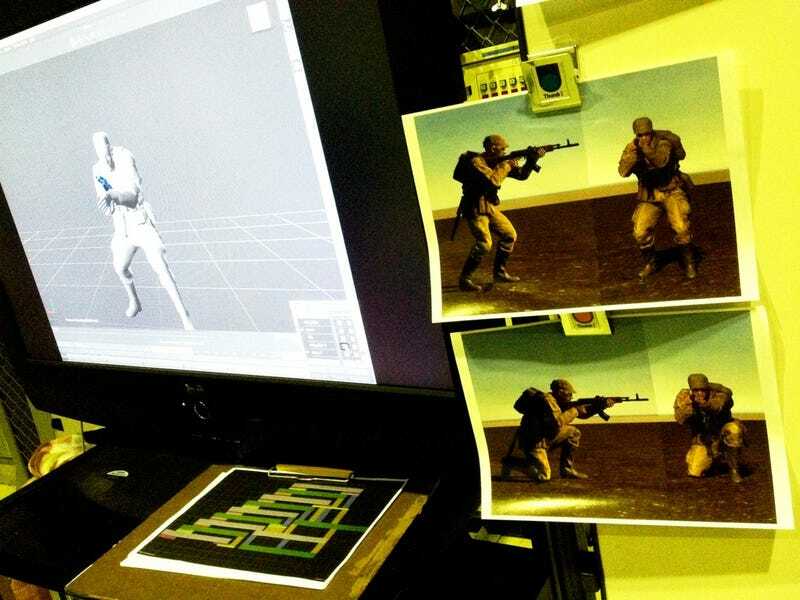 Then again, these latest motion capture images look pretty raw, so the final result will probably be much better. They're just test images. And, as I previously mentioned, it's cool that Kojima is being so open about what he's working on. That being said, I look at this. And then I look at that recent Kara tech demo from French developer Quantic Dream. And then I look at this, and then I look again at the Kara tech demo. Wash, rinse, and repeat. Yes, Metal Gear Solid 4 looked amazing—for its time. And yes, the photo real furniture Konami posted from the new game engine looks great right now. More importantly, as Kojima has stated repeatedly, he is very interested in helping Japan regain its world-class footing. He's hungry. The bar is higher and higher for when Kojima Productions shows off its next finished production, whether that is a polished tech demo or a finished game. The stakes are higher still. If anyone knows that best, it's Hideo Kojima himself.